CHATHAM – Lewis E. Kimball, Jr., of Chatham died peacefully August 16 at Cape Cod Hospital from complications of Parkinson’s disease. Lew was an active leader in Chatham, and was a founding member and a president of Friends of Chatham Waterways, where a scholarship program bears his name. He was co-chair of Friends of Monomoy Theater, commodore of the Stage Harbor Yacht Club (SHYC), and on the vestry of St. Christopher’s Church. At St. Christopher’s, he was co-chair for seven years of the Aid to Africa Committee. He also helped start a Parkinson’s disease support group. He was a member of SHYC and the Chatham Beach and Tennis Club. He was born in Montclair, NJ, the son of Lewis and Virginia Hunter Kimball. He is survived by his wife of 62 years, Lee (Emilie), and three sons: Philip and his wife Kathleen Sheehan and their daughter Emilie of Potomac, MD; Peter and his wife Miriam of Sherborn, MA, and their daughters Louisa Baker and Alexandra, and Louisa’s husband Mike and their son Liam (Lew’s first great-grandchild); and Matthew and his wife Lydia of Baltimore, MD, and their children Everett, Margaret and William. He is survived as well by his sister, Judith (Mrs. Gunnar Bergman) of Santa Barbara, CA, and their children. He enlisted in the Navy V-12 college training program during World War II, and spent 27 years in the Naval Reserve, retiring with the rank of Captain. Educated primarily in Pasadena, CA, including at Polytechnic School, he was graduated from the University of California Berkeley in 1947. He completed his education by earning a masters degree in education at Harvard University in 1952. His teaching career began at the St. George’s School in Newport, RI; followed by Cate School in Carpinteria, CA. 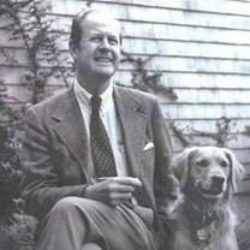 His first headmaster position was at Crane Country Day School in Santa Barbara, CA; followed by The Potomac School in McLean, VA; and Charles River School in Dover, MA. He served as Director of Admissions at Beaver Country Day School in Chestnut Hill, MA; and completed his career as Interim Headmaster of Belmont Day School in Belmont, MA. He was a founding member of the Elementary School Heads Association (ESHA) and served as its president. He was a member of the National Association of Independent Schools (NAIS), and the Country Day School Headmasters’ Association since 1962. He enjoyed music his entire life. He sang with the Bach Society as a youngster in Pasadena, in college choruses and in men’s acappella groups. His especially enjoyed a cappella singing with the Augmented Eight in Washington, DC; and the Two by Fours in Boston, MA. Locally, he sang in the Chatham Chorale. A memorial service will be held at St. Christopher’s Church in Chatham on Saturday, August 25, at 11 am. In lieu of flowers, contributions may be made in his memory to the music program at St. Christopher’s Church, 625 Main Street, Chatham, MA 02633, or to the Lewis. E. Kimball Scholarship at the Friends of Chatham Waterways, P.O. 472, Chatham, MA 02633.